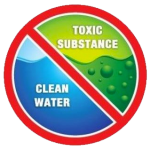 The PUD abides by the water quality regulations outlined in the State Department of Health and the United States Environmental Protection Agency’s Safe Drinking Water Standards. Bacteriological tests are conducted monthly at various locations of the distribution system. The PUD maintains a Coliform testing plan that identifies frequency and location of sample sites.